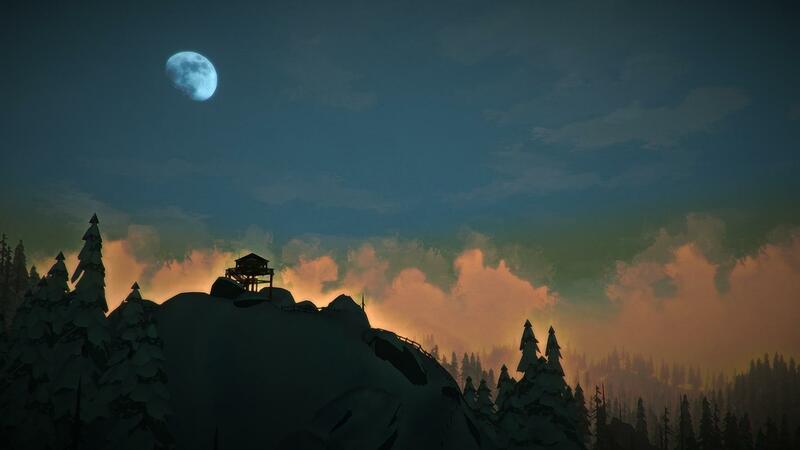 "The Long Dark" is a game currently in its alpha stage. At the moment, it only has a sandbox survival mode, though there are plans to release a story mode in the finished project. The majority of the game is spent traveling from shelter to shelter, avoiding the frigid temperatures as much as you can while scavenging for food. Considering this, every RIT student should be a natural at this game. All the information we have been given is that our plane has crashed in northern Canada due to a mysterious geomagnetic storm and that we must survive for as long as possible. I decided to keep a journal of my most recent attempt at survival, as of Alpha v.200. I awoke face-up in the snow at around 9:50 in the morning. The only thing I could remember was my plane going down. I looked around and shivered as the cold Canadian wind blew across me. I spotted some train tracks and decided to follow them, hoping they would lead me to shelter. Sure enough, I managed to find an abandoned hydroelectric plant to my left. Upon entering it, I found it to be far too dark. With no source of light other than a match, I decided to try for another shelter. Following the tracks again, I found myself walking over a large ravine. I steeled my nerves as I came to a patch where the tracks had been partially destroyed, forcing me to walk across a single rail like a balance beam in order to cross. Just before nightfall, I found myself at the end of the tracks at a loading station. I found a small cabin and decided to stay the night there. While scavenging for any food or materials I could use, I found a frozen corpse. When I recovered from the shock, I reluctantly searched it, too. He certainly wouldn't need the candy bar he had any more. I spent two hours repairing my clothing, which had been worn out by the crash, with scavenged clothes and a sewing kit I found in the cabin, had a much-needed dinner of candy bars and now I'm going to sleep in one of these empty beds — the furthest one from the dead man. I woke up more thirsty than I had ever been in my life. I chugged the two cans of soda I had found last night, ate what little food I had left, then headed out. I followed a downhill path to an abandoned highway. A few empty cars littered the snow-covered street. As I approached an empty house, I suddenly heard snarling and barking. I turned around to the sight of a wolf sprinting toward me. I started running for the house as quickly as I could and slammed the door behind me. I think I heard the thud of the wolf as he ran into the door. This house was much more fruitful than that last cabin. I found a fair amount of food, water and tools inside. I even found some flares and a lantern. After a few hours had passed and I was sure that the wolf was gone, I headed down the road again. I actually found a small village. I scavenged one of the houses before sleeping in its bed. Today was spent scavenging the town. I found more supplies and food than I could carry, though I did not find much to drink. Since no electricity or sinks seem to be working, I had to make due with gathering water from the back tanks of toilets. After all, before someone pees in it, toilet water is the same quality as sink water. I ended my day at the gas station, gathering up a few more supplies and crafting some crude torches before laying down my bedroll to sleep. I started my first fire today. I wanted to cook some raw fish I found in a fridge yesterday and boil some snow to make more drinking water. It took a few tries, but I managed to burn a log of fire wood I found in a nearby house. My first warm meal in days tasted phenomenal. I even felt warmer for a little while after I ate it. However, today wasn't all good. I was attacked by a wolf during my travels. If not for a hunting knife I found a few days back, I may not have been able to fight off the beast. I bandaged myself up and poured some antiseptic on the wound before continuing down the road. Today, I found something that nearly made me cry: a premium winter coat. I haven't been this warm since before the crash. Combined with the other clothes I've found since the crash, I don't even feel cold on the more mild days anymore. Things are looking up! Today, I found the body of the wolf that attacked me three days ago. It must have bled out after I stabbed it with my knife. I decided to harvest the pelt and some of the meat from it. If I can kill a few more of these things, I can probably make a nice coat out of their pelts, a coat even warmer than the one I have now. I also found a few deer that had been killed by wolves. I took their pelts as well and brought them to that abandoned gas station. It had a workbench I could use to make some boots out of the pelts. I finally finished my boots. They're durable, comfortable, and warmer than any of the boots I've found since the crash. Only the most bitter of winds seem to pose a threat to me now. I started another fire today with some broken-down wooden furniture. It seems like reclaimed wood is much more difficult to burn than natural wood. I'll be sure to keep that in mind. Yesterday, I nearly met my end. I was attacked by three wolves in the midst of a brewing snowstorm. I decided to follow the train tracks the other way, but soon found myself overrun. In fact, those three were the only ones to actually get to me. I had scared off two others with the flares I found last week. As I trudged toward a ranger's cabin I found out of sheer luck, I felt my wounded body becoming heavy and numb from the cold. My vision blurred. I was sure I was going to die. As soon as I was inside, I headed to the nearest bed and slept. Today, I spent some time recuperating. As I used up all of my bandages, I made some crude ones out of a pair of socks I found in this house. Tomorrow, I will venture out to collect the pelts of the wolves that attacked me.